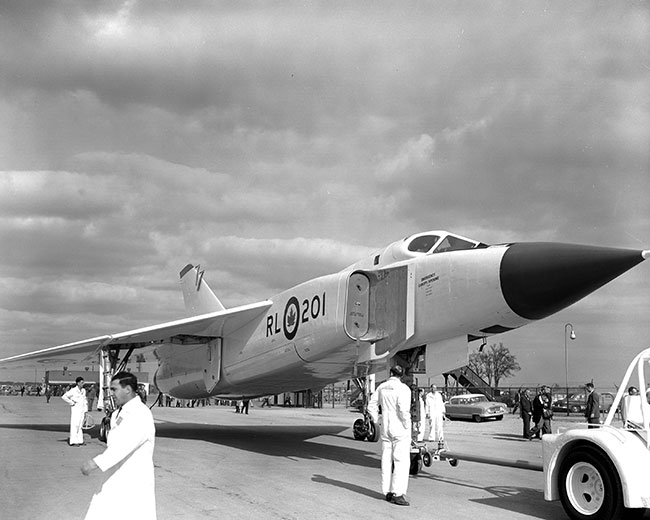 In 1959, when WINGS magazine was founded, the Avro Arrow program was terminated by the Canadian government. As a result, A.V. 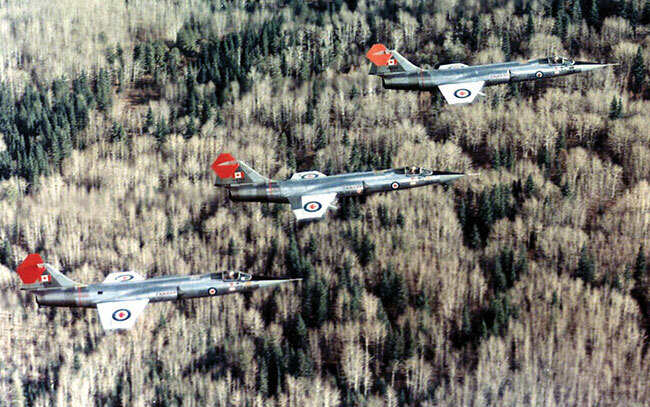 Roe Canada stopped production of the CF-105 Arrow interceptor. Reaching speeds of 2,324 kilometres per hour, the CF-105 never entered service, but it has been on the minds of Canadians for six decades. The Arrow – with its Canadian-built Orenda Iroquois engines and iconic delta wings – was designed for the Cold War, with nuclear bombers and supersonic jets roaming the sky. Lasting until 1995, the Cold War drove much of the aircraft innovation highlighted on this list featuring 100 of the world’s most-important aircraft since the founding of WINGS. Growth in the access to commercial and general aviation influences the entire list; from the 1960s and into the Modern Day Aviation Era, which is recognized as starting after the Cold War Aviation Era ended and continuing into present day. Aircraft on this list, noted by country of origin, are chosen based on three primary criteria: Innovation, adoption, and successful human flight. The list avoids aircraft variants, unless driven by major investment or a critical company position. The Cessna 172, Avro Vulcan and Lockheed C-130 Hercules are the only planes on the list introduced (put into service) before 1959. Some of the most current aircraft consider first flights, as they await introduction, because they fit the criteria. The McDonnell Douglas F-4 Phantom II, introduced in 1960, served in the Vietnam War and the 1991 Persian Gulf War. Powered by two GE turbojet engines, the supersonic Phantom II is rated for a top speed of 2,370 km/h and could climb at 210 m/s. Produced until 1981, 5,190 were built. The Piper PA-28 Cherokee, introduced in 1961, is a family of two- or four-seat light aircraft designed for flight training, air taxi and personal use (Plane & Pilot, 1978). The PA-28’s all-metal, low-wing design competed against the 172 (see 1978, Cessna 172S). More than 32,800 have been built. The Canadair CL-90 Starfighter, a modified Lockheed F-104 built under licence by Canadair, makes its first flight in 1961. Powered by a single Avro turbojet engine, the fighter is rated for a top speed of 1,845 km/h and – leveraging its thin-wing design – a high rate of climb at 244 m/s. With more than 200 produced, the Starfighter operated until 1983. The Lockheed JetStar, introduced in 1961, is regarded as the first dedicated business jet to enter service. It was also used for military purposes. The JetStar is distinguishable by its four rear-mounted engines. More than 200 were built. The Dassault Mirage III, introduced in 1961, was used the 1967 Six Day War. 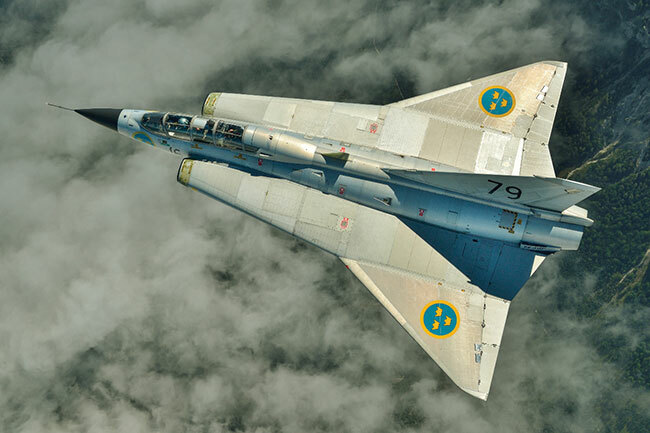 Powered by a one Volvo turbojet engine, the supersonic fighter is rated for a top speed of 2,112 km/h with a climb of 83 m/s. More than 1,400 were built. The Boeing 727, introduced in 1964 with Eastern Air, features three P&W turbojet engines and a range of 5,370 km. The last 727 in operation was retired in January 2019 by Iran Aseman Airlines. In July 2018, 44 Boeing 727s were still in commercial service with 23 airlines, according to FlightGlobal World Airline Census. The Beechcraft King Air, introduced in 1964, holds a top speed of 500 km/h and a 2,446 km range. Author William Green (Beech 65-90 King Air) notes 152 King Airs were ordered a month after delivery of the first production aircraft. More than 3,100 have been produced. The Super King Air was then introduced in 1972. The Learjet 23, introduced in 1964, is powered by two GE turbojet engines. Built in Wichita, Kansas, with a fully pressurized cabin, Bill Lear based its design on the Swiss P-16 prototype jet fighter. With a max speed of 902 km/h, 101 aircraft were built until 1966. 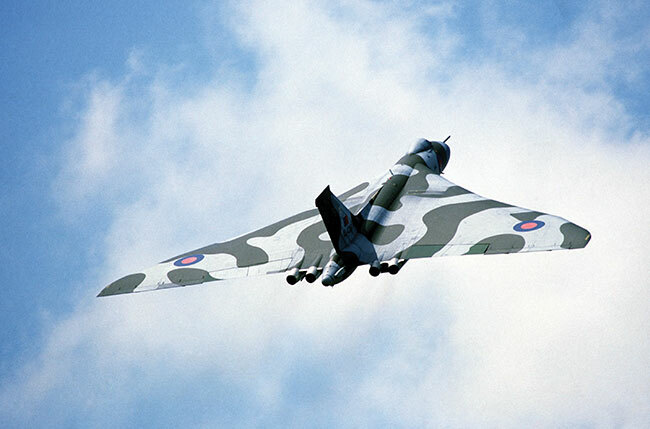 The Avro Vulcan, with its production ended in 1965, first flew in 1952. Later named the Hawker Siddeley Vulcan B.2, the tailless, delta wing, high-altitude bomber was built by A.V. Roe and Company (Avro), with 136 produced, including prototypes. The iconic aircraft flew a combat mission during the 1982 Falklands War, before being retired by the RAF in 1984. The Dassault Falcon 20, introduced in 1965, is the first business jet produced by the French company. It features two turbofan engines, reaching a top speed of 860 km/h and a range of 3,350 km. One of its prototypes was used by aviator Jacqueline Auriol to set the women’s world speed record. More than 510 were built. The Canadair CT-114 Tutor, with its production ended in 1966 after 212 were built, was used for training purposes by the RCAF until 2000. It is currently used by the Canadian Snowbirds demonstration team (431 Squadron), with 24 aircraft. Powered by a single GE turbojet engine, the Tutor has a top speed of 741 km/h and a range of 648 km. Malaysia became its sole foreign operator. The Lockheed SR-71 Blackbird, introduced in 1966, is a reconnaissance aircraft designed to cruise at Mach 3.2 (more than 3,540 km/h or slightly more than three times the speed of sound), with a service ceiling of altitude of 25,900 metres. With 32 produced, 12 were lost in non-combat accidents. 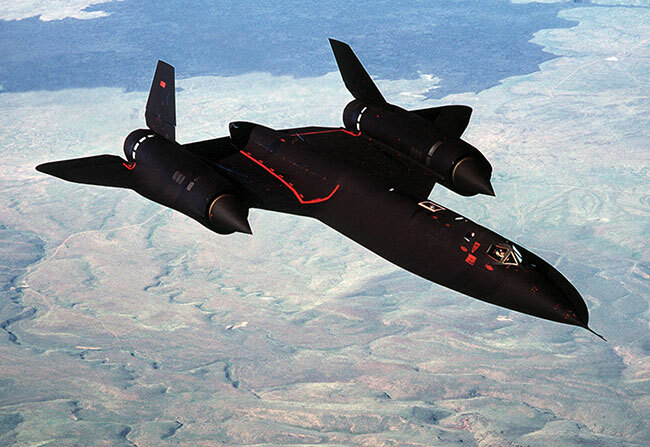 Although it flew until 1998, the SR-71’s 1990 official U.S. Air Force retirement flight from Los Angeles to Washington took just 67 minutes. The de Havilland Canada DHC-6 Twin Otter, introduced in 1966, featured a high rate of climb for a twin turboprop aircraft at 8.2 m/s, in addition to its short take off and landing capability. The 19-passenger aircraft was the precursor to the Dash 7 program. Initially produced until 1988 as the 100-300 series (with more than 950 built), Viking Air in 2005 purchased the Type Certificates for all out-of-production de Havilland aircraft (DHC-1 to DHC-7), including the Twin Otter. It restarted the program in 2007 as the Viking Series Twin Otter 400. 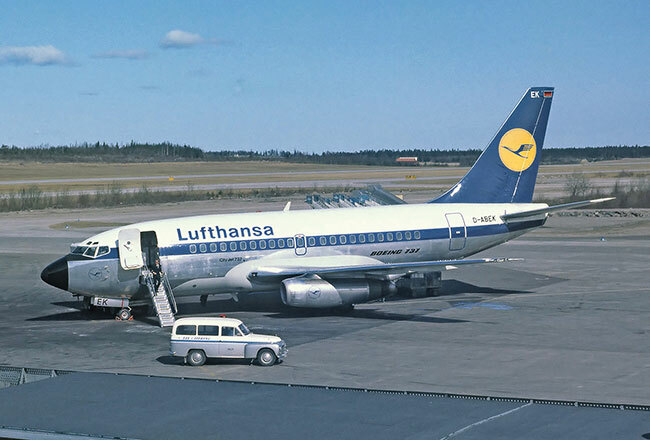 The Boeing 737, introduced in 1968 with launch customer Lufthansa, is a twin-engine, narrow-body domestic airliner. It provided more fuel efficiency than the trijet 727, well known at the time for its unique hot-and-high performance. The 737 would become the most prolific airliner ever. Today, there are more than 12 variants carrying passenger numbers from 85 up to 215. A total of 10,478 737s had been built by January 2019, according to Boeing delivery reports. The Boeing 747, introduced in 1970 as the world’s first jumbo jet with launch customer Pan Am, holds a tail height equal to a six-story building. Powered by four turbojet engines, allowing the aircraft to reach speeds of 945 km/h and a range of 13,425 km (747-400), the 747 held the passenger capacity record for 37 years, until the 2007 introduction of the massive Airbus A380 (BBC, 2010). According to Flight International, the program in 1968 was estimated to cost US$1 billion ($7.2 billion today). A total of 1,548 aircraft had been built as of December 2018, according to Boeing. The Cessna 500 Citation I, introduced in 1971, launched Cessna’s business jet family. It first flew in 1969 as the Fanjet 500 prototype, but was renamed after major structural changes before FAA certification. This included, according to The International Directory of Civil Aircraft (Gerard Frawley), a longer forward fuselage, repositioned engine nacelles, a larger tail and more dihedral to the horizontal tail. Powered by two Pratt & Whitney Canada turbofans, the Citation I was rated for a top speed of 749 km/h. Textron Aviation notes 689 were built until 1985. The Dassault Mirage F1, introduced in 1971, was designed to replace the Mirage III. It used a shoulder-mounted swept wing, instead of the delta wing of the Mirage III, which resulted in a more than 50 per cent reduction in required runway length and increased fuel tankage for 40 per cent greater combat range (Spencer Tucker, Persian Gulf War Encyclopedia, 2014). Powered by a single turbojet engine, it had a top speed of 2,350 km/h, with 720 built until 1992. The Airbus A300, introduced in 1974 with launch customer Air France, is a wide-body passenger airliner that represented Airbus’ move into building commercial aircraft. It held a range of 7,540 km in its typical two-class configuration carrying 266 passengers, but was often used for cargo operations. Forecast International, using Airbus data, in 1993 pegs the A300 program cost at US$4.6 billion. Airbus delivery reports show 561 aircraft were built until 2007. The Beechcraft Super King Air, introduced into the civil market in 1974 (1972, military), has been in continuous production since 1974, according to Hawker Beechcraft, which is the longest production run of any civilian turboprop aircraft in its class – as a pressurized multi-engine turboprop utility aircraft. Dropping Super from its name in 1996, a total of 3,781 had been built by the end of 2015, according to a Beechcraft technical publication. The Tupolev Tu-144, performing its first operational flight in 1975 to haul cargo, became the first Supersonic Transport Aircraft (SST) to reach Mach 2 back in June 1969, besting the Concorde by four months. Following its infamous 1973 crash at the Paris Air Show, however, the Tu-144 did not begin passenger service until 1977 and was grounded in 1978 after an improved version (Tu-144D) crashed during a test flight. It conducted 55 passenger flights, according to Tupolev, at an average service altitude of 16,000 metres and a cruise speed of around Mach 1.6 (2,000 km/h). It served as a cargo aircraft on another 47 flights until retirement in 1983. 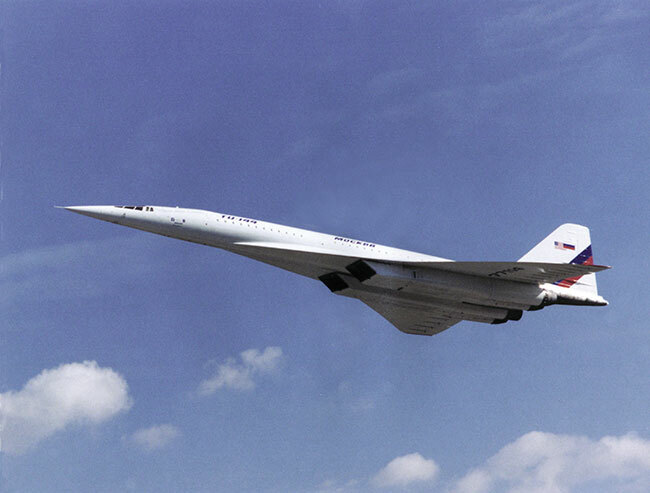 The Concorde, beginning the first SST passenger-carrying service in 1976, had a maximum speed of Mach 2.04 (2,179 km/h), more than twice the speed of sound. It was operated by British Airways and Air France until 2003. Twenty were built, including six non-commercial aircraft. 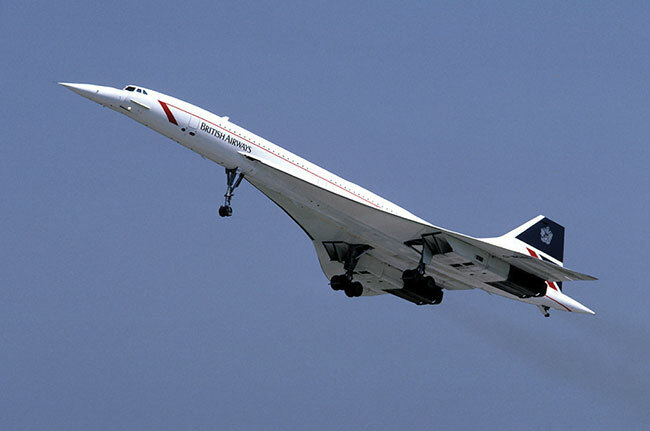 The Concorde program cost £1.3 billion ($2.3 billion), which equates to £7.67 billion ($13.4 billion) in 2016 pounds (The Daily Telegraph, 2000). The unit cost of the aircraft in 1972 was US$33.8 million, which equates US$151 million in 2016 dollars, or $199 million Canadian (Flight International Airliner Price Index, 1972). The McDonnell Douglas F-15 Eagle, introduced in 1976, was selected by U.S. Air Force in 1967 to meet its need for an air-superiority fighter. The twin-engine F-15 is among the most-successful modern fighters, with more than 100 victories and no losses in aerial combat (Davies and Dildy, F-15 Eagle Engaged, 2007). With more than 1,200 produced, it also entered service with Israel, Japan and Saudi Arabia. The de Havilland Canada DHC-7, introduced in 1978, is a four-engine turboprop designed as a regional airliner, with the manufacturer’s now renowned short take off and landing (STOL) performance. The Dash 7 would also enter service with militaries. With 113 aircraft produced, it remained in production until 1988 when de Havilland Canada was purchased by Boeing and later sold to Bombardier. In 2005, the Type Certificate for the aircraft design was sold to Viking Air of Victoria, BC. The Pilatus PC-7, introduced in 1978, is a low-wing tandem-seat aircraft eventually used by more than 20 air forces as an ab initio trainer. Powered by a single Pratt & Whitney Canada PT6A turboprop engine, the PC-7 is capable of all basic training functions including aerobatics, instrument, tactical and night flying. More than 650 have been produced. 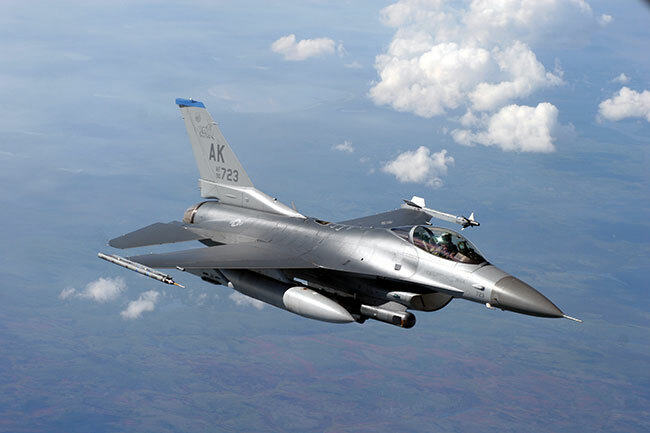 The General Dynamics F-16 Fighting Falcon, introduced in 1978, is a 4th Generation lightweight fighter with a max speed of 2,120 km/h and a 254 m/s rate of climb. Lockheed purchased General Dynamics’ military operation in 1992 for US$1.53 billion. Lockheed reports 4,604 aircraft had been produced by June 2018, as it announced plans to begin making the fighter in South Carolina in 2019. Although it is no longer purchased by the U.S. Air Force, it is operated by more than 20 countries. The Dassault Falcon 50, introduced in 1979, was the first Dassault three-engine business jet, as a super-midsize, long-range aircraft. Its trijet design provided hot-and-high performance and more options on long routes, with a max range of 6,480 km. The Falcon 50 has the same fuselage cross-section as the earlier twin-engine Falcon 20, but is a completely new design that is area ruled and includes a more advanced wing design (Michael Taylor, 1988). A total of 352 were produced until 2008. The Bombardier CL-600 Challenger, introduced in 1980, is a twin turbofan business jet best recognized for its wide cabin, according to Jetcraft research, which also notes it was one of the first civil jets designed with a low-drag supercritical wing. It was originally produced by Canadair in the late-1970s, before Bombardier bought the operation in 1986 for $120 million. As of December 2017, close to 1,100 Challenger 600 Series aircraft had been built. The Boeing 767, beginning production in 1981 and first delivered to United in 1982, is the company’s first wide-body twinjet and its first airliner with a two-crew glass cockpit. It was developed in tandem with Boeing’s narrow-body 757 twinjet. 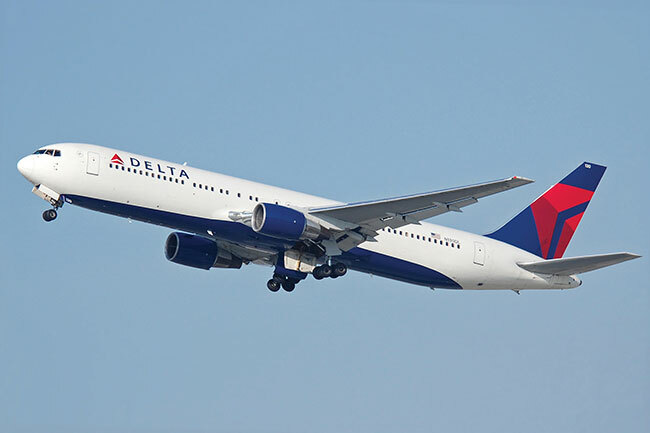 Powered by two turbofan engines, the 767 has a range of up to 11,825 km, seating up to 375 people. A total of 1,135 aircraft were built as of January 2019, according to Boeing. 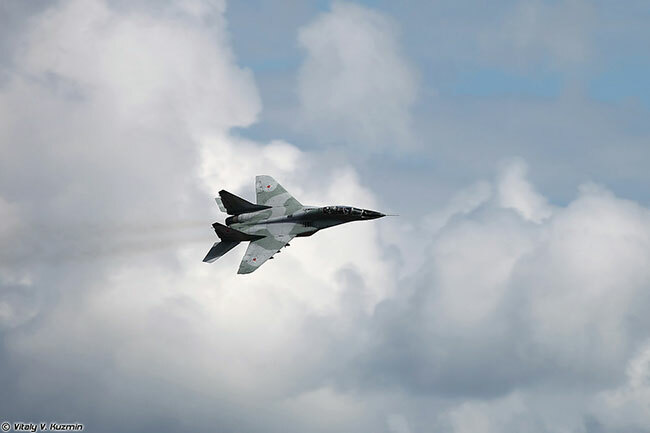 The Mikoyan MiG-29, or Fulcrum, introduced into the Soviet Air Force in 1982, is a 4th generation, twin-engine fighter. Powered by two Klimov afterburning turbofan engines, the Mig-29 has a max speed of Mach 2.25 (2,400 km/h) and an initial rate of climb of 330 m/s. More than 1,600 have been built. The Lockheed F-117 Nighthawk was delivered in 1982 as the first stealth aircraft to reach operational status, but not publicly displayed until 1988. Powered by two GE turbofan engines, the single-seat aircraft was used by the U.S. Air Force in the 1991 Gulf War. The average unit cost is pegged at US$111.2 million, while the flyaway (production-only) cost is US$42.6 million (Aronstein and Piccirillo, Have Blue and the F-117A, 1997), with 59 aircraft built. The F-117 was retired in 2008. 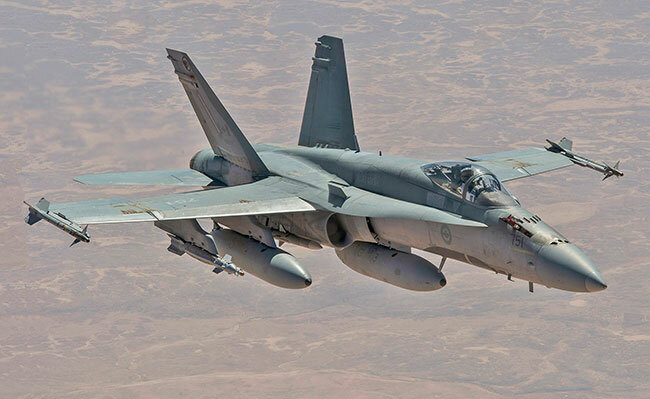 The McDonnell Douglas CF-18 Hornet, introduced by the Royal Canadian Air Force in 1983 and later dubbed the CF-188, is based on the F/A-18 Hornet fighter introduced in the same year by the U.S. Air Force. The RCAF order included 98 single-seat variants and 40 dual-seat variants, for a total of 138 purchased. Canadian Forces explained its selection of the CF-18 was based on, in part: Two engines for reliability (considered essential for conducting Arctic sovereignty and over-the-water patrols), an excellent radar set, while being considerably more affordable than the F-14 and F-15 – at a total capital cost of $4 billion in 1982 dollars. (National Post, 2010). The Space Shuttle Discovery, with its first flight in 1984, two years after the program ’s initial Columbia launch, is the third of five fully operational fixed-wing orbiters to be built. Over 27 years of service, it launched and landed 39 times, gathering more spaceflights than any other spacecraft to date (retiring in 2011). 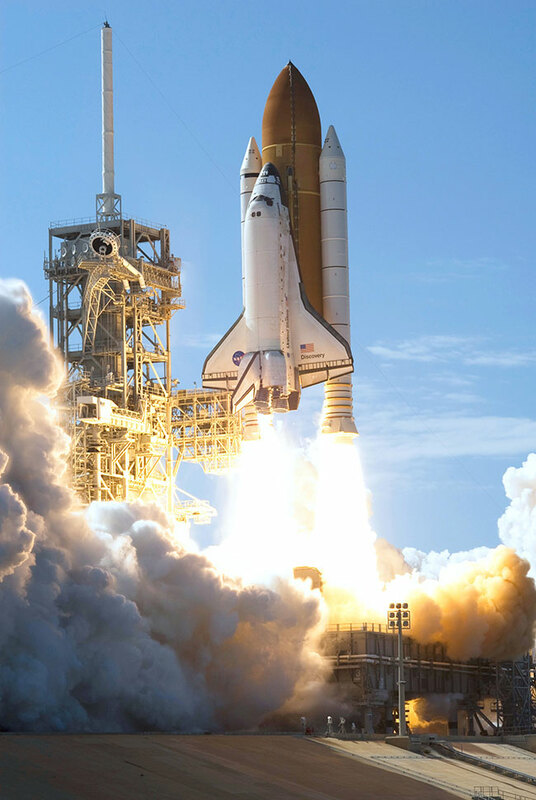 The Space Shuttle was the first and only spacecraft to carry large payloads back to Earth and into space, including the Hubble Space Telescope. Commercial-driven human space flight is expected to begin in 2019. The Dassault Mirage 2000, introduced by the French Air Force in 1984, is a multirole fighter developed to succeed the Mirage III and F1 series. With a single SNECMA afterburning turbofan engine, the Mirage 2000 reaches a top speed of 2,530 km/h with a rate of climb at 284 m/s. The Cessna Caravan, introduced in 1984, is a single-engine (P&WC PT6A) turboprop primarily used as a short-haul regional airliner, cargo and utility aircraft. A freighter variant without cabin windows was developed at the request of Federal Express as the Cargomaster (Frawley, 1997). More than 2,600 were built by the end of 2017. The de Havilland Canada DHC-8 (or Dash 8), introduced in 1984, is a series of turboprop-powered regional airliners. As with the Dash 7, the program was purchased by Boeing in 1988 and then transferred to Bombardier in 1992. Longview Aviation, parent of Viking Air, then moved to purchase the program in late-2018. Bombardier modernized the program into the Q400 series, with more than 1,150 produced by mid-2018. All Dash 8s delivered from of 1996 include the Active Noise and Vibration System. The Antonov An-124 Ruslan, introduced in 1986, is a quadjet strategic transport aircraft. The An-124 flew for 30 years as the world’s heaviest gross-weight cargo airplane and second heaviest operating cargo aircraft, behind the one-off Antonov An-225 with a max take-off weight of 640,000 kg. A total of 55 An-124 aircraft were produced until 2004. Powered by four turbofan engines, it is rated for a max take-off weight of 405,000 kg. The Airbus A320, introduced in 1988 by launch customer Air France, is noted for pioneering the use of fly-by-wire flight controls on commercial airliners. The Airbus A320 family relatively quickly became one best-selling airliners of all time and positioned Airbus in the realm of Boeing’s commercial dominance. By the end of 2018, 8,605 aircraft had been built, according to Airbus reports. The P.180 Avanti, introduced in 1990, is a business jet with push-mounted twin turboprop engines. It is marketed as being faster than other turboprops and many mid-sized jets, with cost efficiencies as much as 40 per cent better than competing jets. (Jason Fogelson, Forbes, 2011). In November 2018, Piaggio Aerospace informed the Italian government it needed to enter receivership. The government appointed new management to seek a buyer for the operation. The Pilatus PC-12, with its first flight in 1991, is a pressurized, single-engine turboprop noted for versatility. 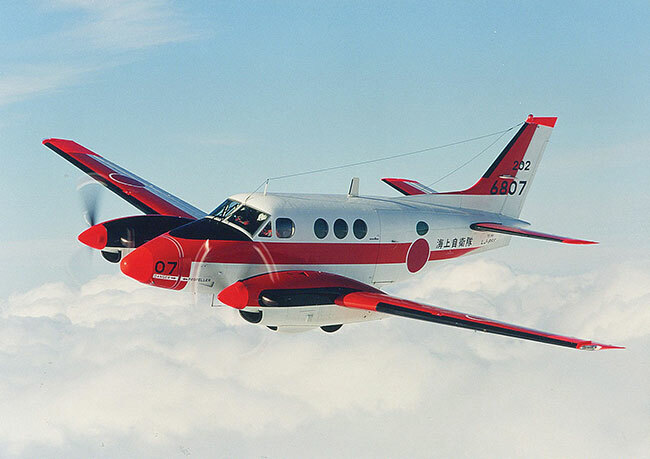 Introduced in 1994, the PC-12 features a highly reconfigurable cabin, high loading capacity with a large cargo door, and superior short-field capabilities. More than more 1,500 were produced by mid-2017. 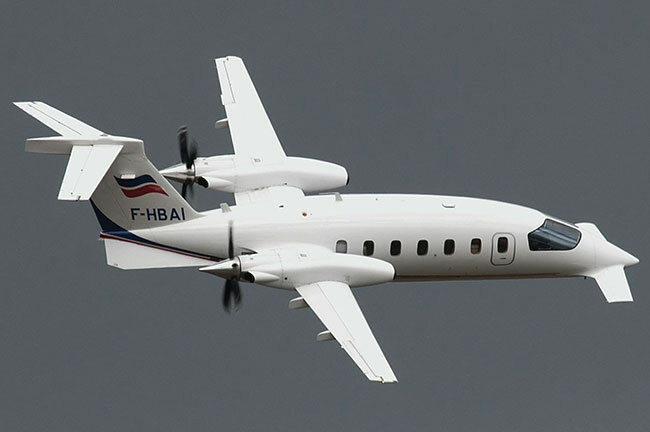 The platform’s next-generation aircraft, PC-12 NG, was introduced in 2017. The Bombardier CRJ100, introduced in 1992 with launch customer Lufthansa, became Canada’s first civil jet airliner, considering the Avro C102 Jetliner never entered service. The initial CRJ concept was to stretch a build of the Challenger 600. 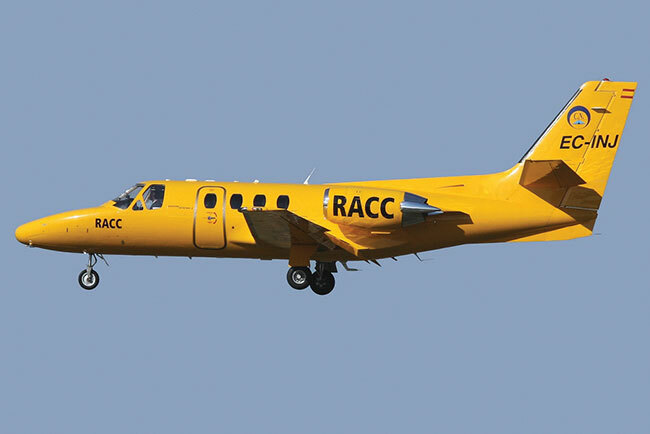 The 50-seat CJR 100 and 200 were quickly adopted by regional airlines. A total 1,021 aircraft were built until 2006. 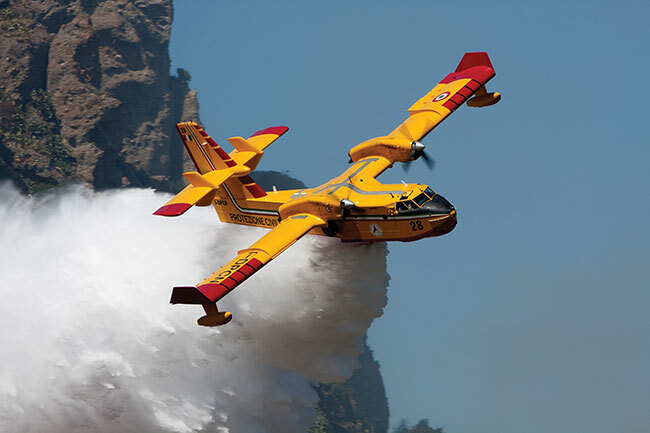 The Canadair CL-415, introduced in 1994, is designed for aerial firefighting, built first by Canadair and then Bombardier. Production on CL-415 superscooper began in 1993 with 95 aircraft being built until 2015. In mid-2016, Viking Air purchased the CL-415 Type Certificate from Bombardier along with the older CL-215 and CL-215T. The CL-415 can scoop up to 6,140 litres of water from a nearby source and drop it on a fire without returning to base. With the increase in devastating forest fires, the CL-415 is a worldwide aviation marvel operated by more than a dozen countries. The Boeing C-17 Globemaster III, introduced in 1995, is a military transport aircraft initially developed for the U.S. Air Force by McDonnell Douglas, which merged with Boeing in 1997. The C-17 primarily performs tactical and strategic airlift, transporting troops and cargo, medical evacuation, and airdrop. Ultimately, 279 aircraft were produced until 2015 (Press Telegram, 2015). It is in service with nine countries, including Canada. 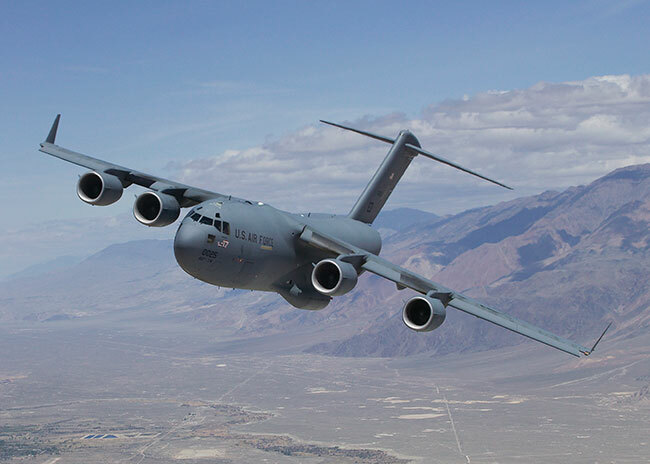 A single C-17 can haul as much as 160,000 lbs of cargo approximately 4,442 km. The Boeing 777, introduced in 1995, is a twin-engine jet airliner with a typical seating capacity of 314 to 396 passengers. With more than 1,580 built through December 2018, it was launched with United Airlines, which remains as a primary user along with Emirates, Cathay Pacific and Air France. The 777F freighter version debuted in 2009 with high-output GE90 engines. The new 777x is scheduled for first flight in mid-2019. The Cirrus SR20, with its first flight in 1995, is a single piston-engine, composite monoplane. The SR20 was the first production GA aircraft to be equipped with a parachute designed to safely lower the aircraft to the ground after loss of control or failure. The Cessna Citation X, introduced in 1996, had a high rate of speed among all civil airplanes at the time, reaching Mach 0.935 and a range of 6,408 km. Powered by two Rolls-Royce engines, the aircraft is built to cruise near the speed of sound at Mach 0.92. It won the Collier Trophy. More than 330 were built until 2018. The Airbus A319, introduced in 1996 with Swissair, is a shortened-hull variant of the A320, but it has made substantial impact with close to 1,500 produced as of January 2019. With a max speed of Mach 0.82 (871 km/h), it has a typical payload range of 6,940 km. 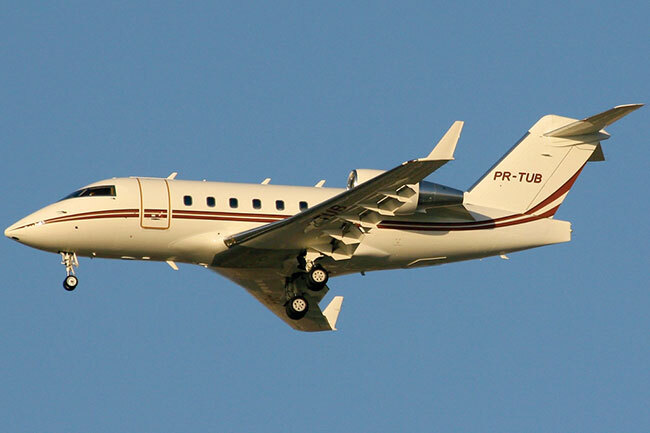 The Bombardier Global Express, introduced in 1997, is a large-cabin business jet sharing a fuselage cross section with Challenger 600 and CRJ, but employing a new wing and T-tail. Powered by two Rolls-Royce turbofan engines, both 5000 and 6000 models are rated for a top speed of Mach 0.89, with ranges of 9,630 km (5000) and 11,112 km (6000) when cruising at Mach 0.85. The Diamond DA40 Star, introduced in 1997, is a lightweight four-seat, single-engine aircraft constructed from composite materials. Built in both Austria and Canada, the aircraft is popular with flight schools and is used by at least six militaries. 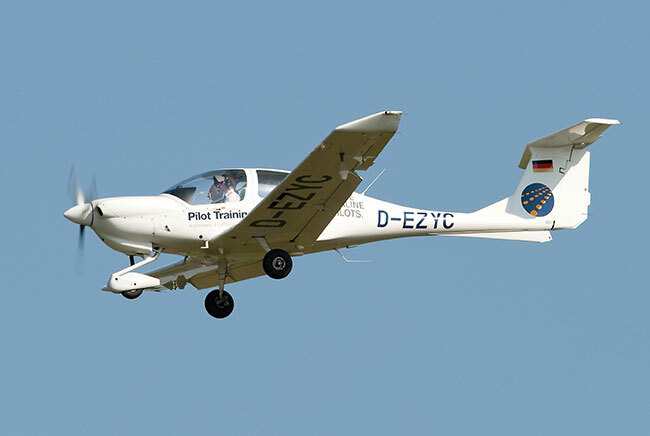 A modified hybrid-electric DA40 was flown for the first time in late-2018 in Austria. 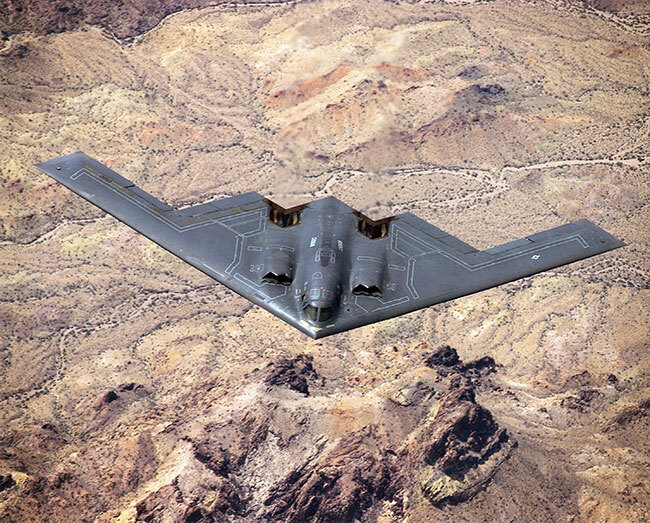 The Northrop Grumman B-2 Spirit, introduced in 1997, is a stealth bomber tracing its development back to the 1970s. 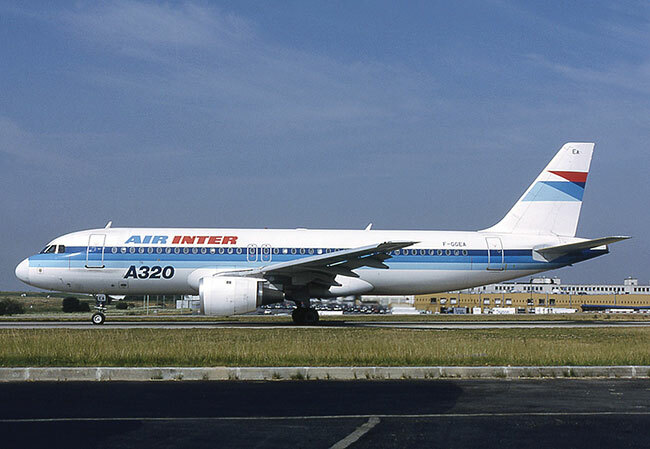 The aircraft first flew in 1989. With 21 built, the unit cost of the B-2 Spirit, which included development, engineering and testing, averaged US$2.1 billion per aircraft in 1997, with a total program cost of US$44.75 billion through 2004. The B-2 Spirit is capable of all-altitude attack missions of up to 15,000 m, with a range of more than 11,000 km on internal fuel and more than 19,000 km with one midair refueling. The Saab JAS 39 Gripen, introduced in 1997, is a lightweight 4th generation fighter. 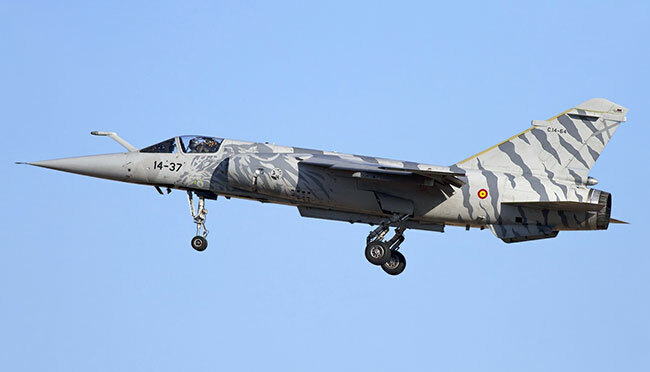 Powered by a single Volvo afterburning turbofan engine, the JAS 39C/D variant is rated for a top speed of 2,460 km/h. With more than 247 produced, the aircraft holds an advanced aerial platform, which builds upon its relatively modest size. It had a program cost of US$13.54 billion (Defense Aerospace, 2006). The Cessna Skyhawk 172S, introduced in 1998, serves as a key future base model for the aircraft. First introduced in 1955 and still in production today, the GA-driven Cessna 172 is the world’s best-selling aircraft with more than 44,000 built by the company and its partners. The Lockheed C-130J Super Hercules, introduced in 1999, builds upon the original C-130 platform, which entered service in 1957. The significantly upgraded C-130J attracted the attention of several militaries. With more than 400 produced, the C-130J had a per unit flyaway cost (production only) of US$67.3 million in 2014, according to the public U.S. Air Force budget. The Boeing FA-18 Super Hornet , introduced in 2019, is a multirole, twin-engine, carrier-capable, multirole fighter evolving from the Hornet series that began under the McDonnell Douglas. It is produced in F/A-18E single-seat and F/A-18F tandem-seat variants, in addition to the EA-18G Growler. With more than 600 produced, it is rated for a top speed greater than Mach 1.8 (2,205 km/h) and a 228 m/s rate of climb. The Cirrus SR22, with its production beginning in 2001, is a single-engine composite aircraft. It quickly became one of the most produced aircraft in the Modern Aviation Era, with more than 5,100 built to 2016, according to GAMA. It holds an approximate unit cost of US$540,000 (2017). It is equipped with the Cirrus Airframe Parachute System (CAPS), providing whole-plane emergency recovery. 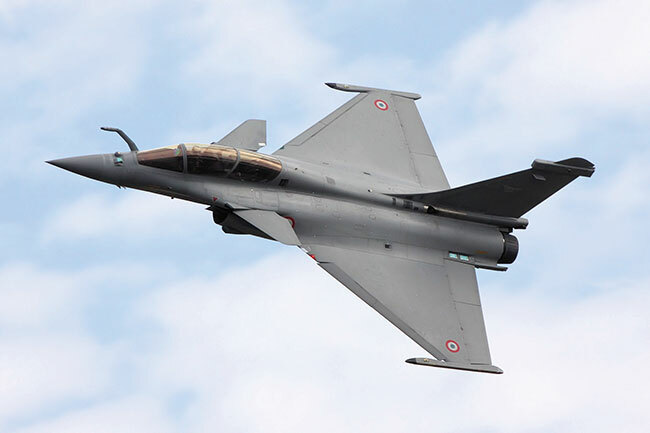 The Dassault Rafale, introduced in 2001, is a 4th Generation twin-engine, canard delta wing, multirole fighter. A total of 169 had been produced by the end of 2018, according to Dassault. The aircraft is available in three main variants: Rafale C single-seat land-based version, Rafale B twin-seat land-based version, and Rafale M single-seat carrier-based version. The total cost of the program for the state was measured at €45.9 billion ($68.8 billion) in 2013. The Bombardier CRJ700 Series, introduced in 2001, includes the CRJ700, CRJ900 and CRJ1000 regional aircraft. In a 2016 market forecast, Bombardier notes the CRJ700 family operates more than 200,000 flights per month. More than 850 aircraft were produced by the end of 2017. Newer airframes include Bombardier’s Atmosphere cabin. The Eurofighter Typhoon, introduced in 2003, is a 4th generation multirole fighter in operation with militaries like Austria, Britain, Germany, Spain and Italy, with more than 550 produced by October 2017 (The Economist). The Typhoon was developed from the British Aerospace EAP demonstration aircraft. The Gulfstream G550, introduced in 2004, is a business jet that saw its 500th delivery in May 2015. 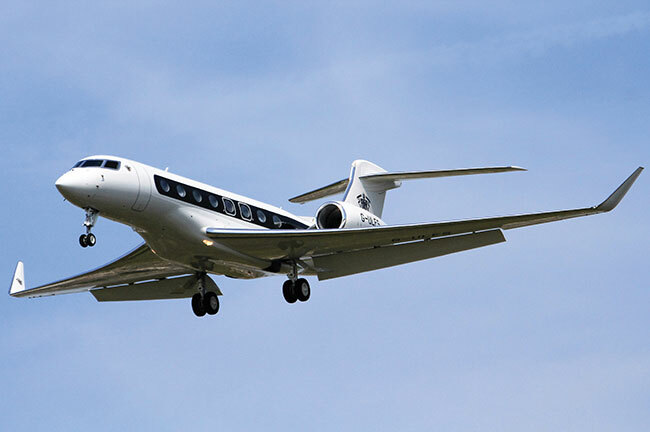 Powered by two Rolls-Royce BR710 turbofan engines, the G550 is rated for a top speed of Mach 0.85 and a cruising speed of Mach 0.80 with a range of 12,501 km. 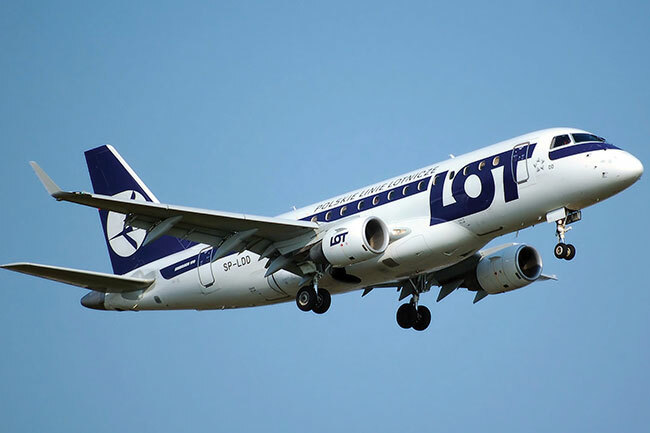 The Embraer E-Jet, introduced in 2004 with launch carrier LOT Polish Airlines, is narrow-body, short- to medium-range, twin-engine jet airliner, carrying anywhere from 66 to 124 passengers. The program cost US$850 million, according to Flug Revue. A total 1,500 aircraft had been produced by the end of 2018, according to Embraer. The Diamond DA42 Twin Star, introduced in 2004, is a four-seat, twin-engine aircraft. It was named as one of the Top 100 Tech Innovations of 2004, by Popular Science. In 2004, the DA42 Twin Star became the first diesel-powered, fixed-wing aircraft to perform a non-stop crossing of the North Atlantic, taking 12.5 hours while operating with an average fuel consumption of 21.73 litres per hour. The new generation DA42NG, introduced in 2009, is powered by Diamond’s third generation Austro AE 300 turbo diesel engine. The Virgin Galactic SpaceShipOne, built by Scaled Composites, is unveiled in 2004 as an air-launched, rocket-powered aircraft with sub-orbital spaceflight capability. It reached speeds of up to 900 m/s and featured an atmospheric feathering re-entry system. It completed the first manned private spaceflight in 2004, winning the Ansari X Prize. It was immediately retired from active service. 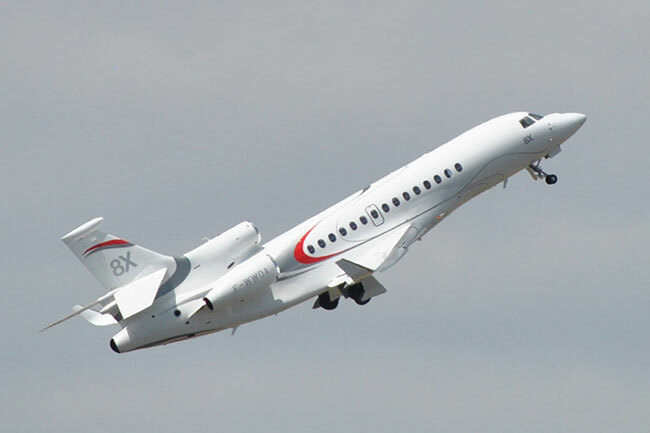 The Dassault Falcon 7X, with its first flight in 2005, is a long-range, large-cabin business jet developed from the Falcon 900. Powered by three P&WC turbofan engines, it has a max speed of Mach 0.9 (956 km/h) and a range of 11,019 km. More than 260 aircraft were produced by mid-2016. The Lockheed Martin F-22 Raptor, introduced in 2005, is a 5th Generation fighter. Secretary of Defense Robert Gates explained its high cost of production, as well as the development of the more versatile F-35, led to the end F-22 production. A total of 195 aircraft were produced until 2011, with a program cost of US$66.7 billion, according to Cost of War. The Airbus A380, introduced in 2007 with Singapore Airlines, becomes the world’s largest passenger airline with a typical seating capacity of 525, although it is certified for up to 853 passengers. Powered by four turbofan engines, the double-deck aircraft has a range of 15,200 km. With approximately 240 produced, Airbus in February 2019 announced it would end A380 production in 2021. The Viking Twin Otter 400, with production beginning 2007, is the result of Viking Air in 2005 purchasing Type Certificates for out-of-production de Havilland aircraft, including the Twin Otter developed in 1965. The first Twin Otter 400 was operational in 2010 and 75 of the new series were delivered by mid-2015. Enhancements include upgraded Pratt & Whitney PT6A-34 engines, Honeywell Primus Apex avionics, LED lighting, and approximately 800 other modifications. The Quest Kodiak , introduced in 2018, is a high-wing, un-pressurized, single-engine turboprop with fixed tricycle landing gear. The versatile aircraft is suitable for STOL operations, serving a range of sectors from VIP travel and cargo to reconnaissance and skydiving. In 2017, the Kodiak received its Type Certificate from EASA. More than 250 were produced by the end of 2018. The Embraer Phenom 300, with its first flight in 2008, is a light business jet. Embraer began designing the twinjet 300 shortly after the Phenom 100, which first flew in 2007. The Phenom 100 was the Brazilian company’s first full-scale commitment a dedicated business jet. Embraer in 2018 delivered 53 Phenom 300 and Phenom 300E aircraft, which amounts to 490 since 2009. The Sukhoi Superjet 100, introduced in 2011 with launch customer Armavia, is a regional jet designed by a division of United Aircraft Corp. The airliner typically seats 87 to 98 passengers. Powered by two PowerJet turbofans, developed in a joint venture between Safran and Russian NPO Saturn, the aircraft has a range of up to 4,578 km. A total of 177 aircraft were built by the end of 2018. Aeroflot operates 50 of the latest Sukhoi Superjet 100s. The Boeing 787 Dreamliner, introduced in 2011 with All Nippon Airways, is a long-haul, mid-size wide-body, twin-engine jet airliner. Its variants seat 242 to 335 passengers in typical three-class seating configurations. It is described by Boeing as the first airliner with an airframe constructed primarily of composite materials. A total of 789 aircraft were built as of January 2019. The Gulfstream G650, introduced in 2012, is a twin-engine business jet that can be configured to carry 11 to 18 passengers, based on what the company describes as the widest, tallest and longest cabin in its class. Powered by two Rolls-Royce turbofan engines, the G650ER has a top speed of Mach 0.925 and a range of 13,890 km at Mach 0.85. 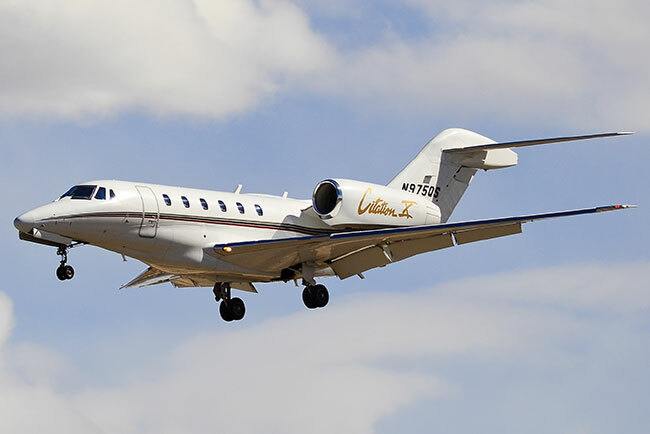 The Embraer Legacy 500, introduced in 2014, followed by the Legacy 450, incorporates full fly-by-wire technology, with seating for up to 12 passengers. Powered by two Honeywell turbofan engines, the aircraft is rated for a top speed of Mach 0.83 and a range of 5,788 km at cruise speed (863 km/h). The Sukhoi Su-35, introduced in 2014, is a single-seat, twin-engine fighter. Powered by two Saturn turbofan engines, the Su-35S variant is rated for a top speed of Mach 2.25 (2,400 km/h) and climb greater than 280 m/s. The Su-35 employs a thrust-vectoring system and integrated propulsion-controls to attain what is termed supermaneuverability. The Airbus A350 XWB, introduced in 2015 with Qatar Airways, is the first Airbus aircraft with both fuselage and wing structures made primarily of carbon fibre reinforced polymer, which supports lower fuel burn, easier maintenance and increased resistance to corrosion. The A350-900 is described as the cornerstone member of the A350 family, accommodating 325 passengers in a standard three-class configuration. With a program cost of €11 billion (BBC, 2013), more than 240 were built as of January 2019. The Diamond DA62, introduced in 2015, is a five- to seven-seat, twin-engine light aircraft. The DA62 is based upon the fuselage of the single-engine Diamond DA50, but with two Austro AE300 diesel engines burning Jet-A fuel. The DA62 is rated for a top speed of 367 km/h and a range of 325 km. The Mitsubishi Regional Jet, with test flights beginning in 2015, is Japan’s first jet aircraft developed by Mitsubishi Aircraft. The company anticipates first delivery of the aircraft, which will be primary used as a regional carrier, by mid-2020. Known as the MRJ, the jet is powered by two Pratt & Whitney GTF PW1200G engines. P&W explains the GTF engine’s geared fan architecture enables double-digit reductions in fuel consumption, noise footprint and regulated emissions. The COMAC ARJ21 Xiangfeng, introduced in 2016 with Chengdu Airlines, is described as China’s first modern airliner. COMAC, which stands for Commercial Aircraft Corporation of China, was founded in 2008. According to Boeing, Chinese airlines are expected to order more than 6,300 airplanes over the next 20 years with a total value topping US$1 trillion. The ARJ21 is a twin-engine, 90-seat regional airliner designed for short- to-medium-range flights, powered by two GE engines. In late 2018, COMAC had more than 300 orders for the aircraft. The Dassault Falcon 8X is an ultra-long range, trijet designed to follow 7X series with refined swept-back wings (featuring winglets). Powered by three Pratt & Whitney Canada turbofan engines, the 8X is rated for a top speed of Mach 0.90 and a range of 11,945 km. Its cabin structure provides for more than 30 distinct layouts. The Virgin Galactic SpaceShipTwo, VSS Unity, unveiled in 2016, was developed from the initial SpaceShipTwo, VSS Enterprise, that performed its first test flight in 2013. The fatal crash of VSS Enterprise led to significant design changes in its feathering re-entry system. In 2018, VSS Unity successfully reached the civilian defined edge of space (50 miles) at 51.4 miles. Then, in February 2019, VSS Unity reached 55.87 miles (89.9 km) and a speed of Mach 3.04. The Airbus A320neo, introduced in 2016 with launch customer Lufthansa, is narrow-body airliner. It features new-generation engines and optimized aerodynamics. The neo lineup of medium-range airliners includes the 160-seat A319neo, 189-seat A320neo, and 240-seat A321neo. As of December 2018, Airbus received 6,526 orders and delivered 635 aircraft for the neo. The Bombardier C-Series, introduced in 2016 with launch customer Swiss International, is a narrow-body, twin-engine, medium-range aircraft, which Airbus took majority control of in 2018. The 108- to 133-seat CS100 became the A220-100 and the 130- to 160-seat CS300 became the A220-300. A total of 57 had been built as of January 2019. The Lockheed F-35 Lightning II, introduced in 2016, is a 5th Generation fighter that incorporates new stealth technology and a modular build approach. The F-35 is currently being developed into three distinct airframes. More than 355 had been built as of December 2018. Its program cost, as outlined by the U.S. government, is pegged at US$1.51 trillion (through 2070 in then-year dollars). The most expensive variant, F-35B, has a unit cost of US$115.5 million. The Honda HA-420 HondaJet, introduced in 2016, is a lightweight, entry-level business jet, described as one of the quietest and fastest jets of its class. The HondaJet was the most-delivered aircraft in its class in 2018, with 37, based on numbers provided by GAMA. 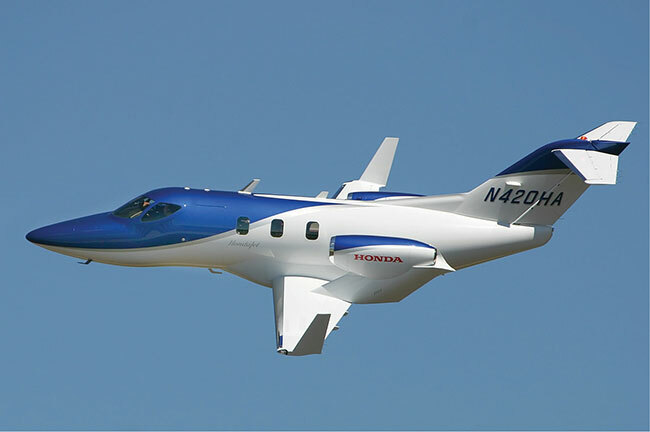 This was the second consecutive year the HondaJet has been the world ’s most-delivered very light jet. In 2018, the new HondaJet Elite received Type Certification from the Japan Civil Aviation Bureau and it was delivered to its first customer in Japan. The Chengdu J-20, introduced in 2017, is a 5th Generation, single-seat, twinjet, all-weather, stealth fighter aircraft developed by China ’s Chengdu Aerospace Corp. for the People’s Liberation Army Air Force (PLAAF). The J-20, also known as the Mighty Dragon, is powered by two WS-10B afterburning turbofan engines. It is rated for a max speed of more than Mach 2.5 (more than 2,100 km/h), a high rate of climb at 304.8 m/s, a range of 3,400 km and a ceiling of 18,000 m.
The Irkut MC-21, with its first flight in 2017, is a single-aisle, twinjet airliner, developed by the Yakovlev Design Bureau and produced by its parent Irkut, a branch of the United Aircraft Corp. The initial design started in 2006. Powered by Pratt & Whitney PW1000G or Aviadvigatel PD-14 turbofans, and featuring a carbon fibre reinforced polymer wing, the MC-21 is rated for a range of up to 6,400 km. It can accommodate 132 to 211 passengers depending on configuration. Aeroflot is expected to take delivery of 50 MC-21 aircraft. The COMAC C919, with its first flight in 2017, is a narrow-body, twinjet airliner. It is built for flight economics shared by the Airbus A320neo and Boeing 737 MAX. Carrying 168 or 158 passengers, depending on configuration, the C919 is expected to enter commercial service in 2021. The ER model is expected to have a range of around 5,555 km. 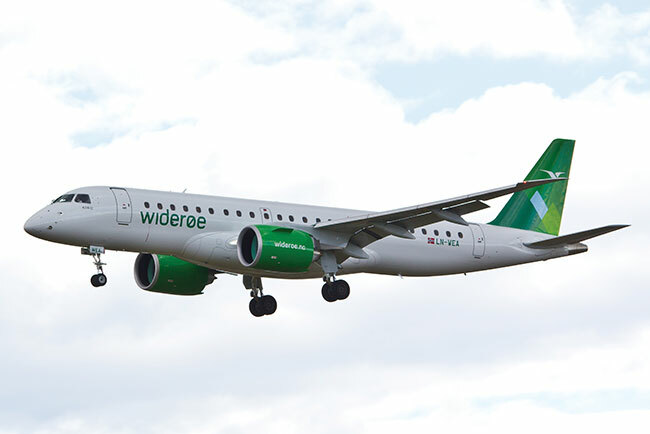 The Embraer E-Jet E2 series, introduced in 2018 with Widerøe, is a medium-range, narrow-body twinjet passenger airliner. Relative to the E-Jet series, there are three E2 variants with new wings, Pratt & Whitney PW1000G turbofans, fly-by-wire controls new avionics and an updated cabins. The E190-E2, carrying 96 passengers, is designed for a range of 5,280 km. In early 2019, a joint venture centred on Embraer’s commercial operations was close to completion, with Boeing owning 80 per cent and Embraer 20 per cent. The Saab JAS 39 Gripen E/F , with its first flight in 2017, is one of the contenders to become the next generation fighter for the Canadian Armed Forces. Also referred to as the Gripen NG, two of the company’s test aircraft, 39-9 and 39-10, in late-2018 adopted systems to rapidly add computing, improving upon the first aircraft, 39-8. Saab explains this means the Gripen E/F can be at the forefront of air combat for decades as new features come online. The Gripen F is the two-seat version under development with Embraer. The Boeing 737 MAX, introduced in 2017 with Malindo Air, is described by the company as the fourth generation of its 737 short-to-medium range airliner, which it has been producing for 50 years. The 737 MAX features new engines, wings and avionics in four variants, including: the 149-seat 737 MAX7, 189-seat MAX8, 200-seat MAX200, and 220-seat MAX9. The Embraer KC-390, introduced in late 2018, is a transport aircraft expected to challenge the medium-lift market dominated by the Lockheed C-130 Hercules series, which was first introduced in the 1950s. In 2019, Embraer was working to finalize a joint venture with Boeing around the KC-390 program. It would see Embraer own a 51 per cent stake, with Boeing owning the remaining 49 per cent. 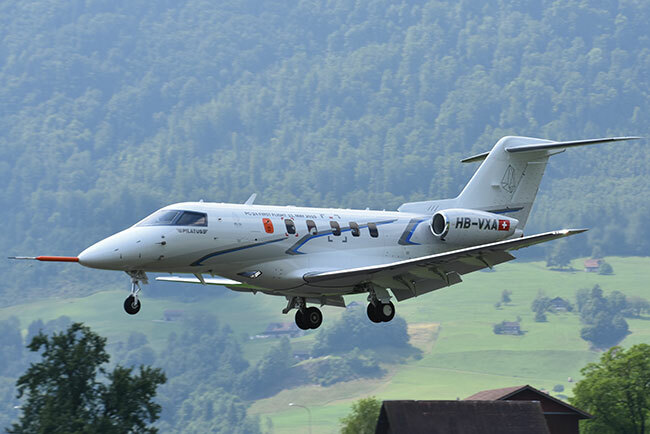 The Pilatus PC-24, introduced in 2018, is a new entry for the Swiss company into the light passenger jet market, even as the aircraft maintains the versatility of the PC-12, often deployed as an air medical aircraft. 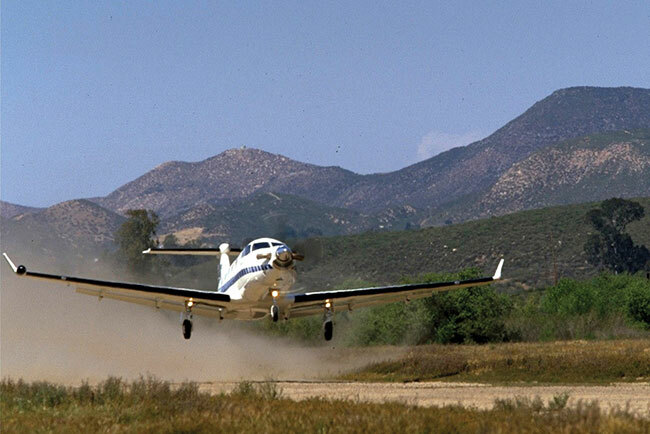 The PC-24 is designed for short, unpaved runways to open up a large degree of flexibility and new opportunities. The PC-24 provides access to almost twice as many airports worldwide, explains Pilatus, compared to other jets currently available on the market. The Bye Aerospace Sun Flyer 2, with its first flight in 2018, is a two-seat electric aircraft designed for flight training with a single tractor electric motor powered by Lithium-ion batteries. In February 2019, the Sun Flyer 2, completed the first official flight test with a Siemens electric propulsion motor. The aircraft, along with the four-seat Sun Flyer 4, aim to be the first FAA-certified, practical, all-electric aircraft. The Diamond Dart 550, with its first flight in 2018, is an aerobatic trainer following the 2014 introduction of the Dart 450. The 550 is powered by a GE H75-100 turboprop engine with 550 hp featuring an electronic engine and propeller control (EEPC) system. The Dart 550 also features Martin Baker MK16 ejection seats and Garmin G3000 integrated avionics systems. In January 2018, China’s Wanfeng Aviation purchased Diamond Aircraft. The Bombardier Global 7500, introduced in 2018, is a clean-sheet design building from the heritage of the Global Express business jet line. The company expects to deliver 20 Global 7500s in 2019, followed by 40 deliveries in 2020, which will be close to the aircraft’s full annual production level. At its optimum cruise speed of Mach 0.85, the aircraft can connect New York to Hong Kong and Singapore to San Francisco, nonstop. The Gulfstream G500, introduced in 2018, is set to become the company’s flagship business jet, along with the G600. 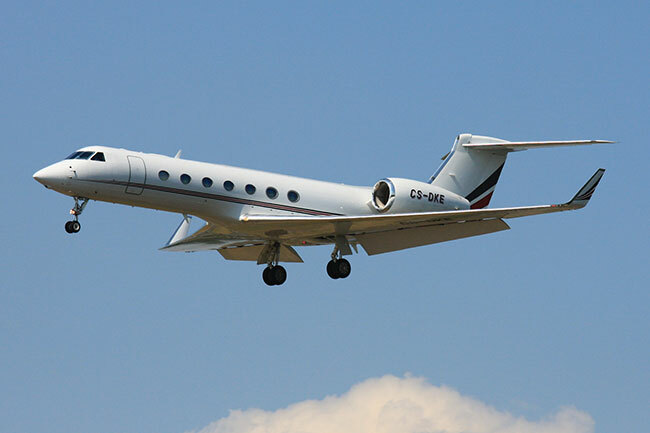 By January 2019, the twin-engine G500 achieved nearly 30 city-pair speed records. Powered by P&WC engines, it is rated for a range of 9,630 km at Mach 0.85 cruise speed, hitting a max speed of Mach 0.925. The G600 has a max range of 12,040 km. The Embraer Praetor 500 and 600, unveiled in late-2018, are expected to begin certifications in the third quarter of 2019, holding ranges of 6,019 km and 7,223 km, respectively. Embraer explains the Praetor 600 will be the farthest-flying super-midsize business jet, which allows nonstop flights between London and New York. Both models are powered by two Honeywell HTF 7500E turbofan engines. The Cessna Citation Longitude, expected to be certified in the third quarter of 2019, after its first flight in 2016, is a twin-engine, long-range business jet designed to accommodate eight to 12 people. Powered by Honeywell HTF7000 turbofan engines, the Citation Longitude is expected to have a cruise speed of approximately 882 km/h and a four-passenger range of 6,482 km, as well as a service ceiling of 14,000 m.
The Mikoyan MiG-35, expected to be introduced in 2019, after its first flight in 2017, is an evolution of the MiG-29 Fulcrum fighter, featuring improved radar and new wings. The 10G-plus aircraft is rated for an initial max speed of Mach 2.2 (2,400 km/h) and a 330.2 m/s rate of climb. The Boeing KC-46 Pegasus, introduced in 2019 after its first flight in 2017, won the KC-X tanker competition for the U.S. Air Force. Powered by two Pratt & Whitney turbofans, the KC-46 has a maximum take-off weight of 186,880 kilograms (with a 96,297 kg fuel capacity) and is rated for a range of 12,200 km. It is estimated to have an average unit cost of US$147.4 million; or US$241.1 million with R&D factored in.